Is this placebo or did they fix the HDR issues? You may want to check out RDR2.org forum....and click on RDR2 graphics blur ps4 pro last page. Everyone is talking about fixing character glitches and I am just sitting here hoping they fixed my one gripe with this game, the fast sunsets and hectic day night cycle. Nights are seriously way too short, weather changes happen way too often and sunsets are hardly enjoyable at 20 seconds duration. The clock is so fast it sometimes looks like the clouds teleport into the sky and the moon moves around. Then there are lighting glitches too that need looked over. Have they addressed time, weather or lighting in the patch? Fingers crossed. At least RDR2 has 3-minute hours (as opposed to GTA V’s 2-minute hours), but I agree that the days still feel short regardless. It would be nice if they bumped it to 5-minute hours (1 in-game day = 2 real-life hours), but I doubt it’ll happen. Patch deleted all my custom outfits, and now I can't use the saved outfits workaround to get rid of that damn off-hand holster. Anybody noticed whether or not it at least shows up in cutscenes now?? Can anyone summarize single player changes? Do You Really Want To Live In a World Without Coca-Cola? f*ck sake. Can confirm that the off hand holster still does a disappearing act during cutscenes. Can't unequip in wardrobe. Heading to Rhodes now to see if I can unequip the off-hand weapon at the gunsmith. Have they added the PS4 30 day exclusive outfit for Xbox yet? Yup, Grizzlies Outlaw outfit is now in my wardrobe. Cool, thanks for the fast reply. They gave bonuses before but not to speed/acceleration. I take it that’s now the case? 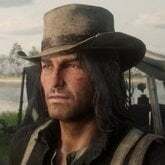 Would love to know this as well..
John's original hairstyle is a MUST - I still don't know why they got rid of it as soon as we take control of John! He looks like a completely different person without it! Would be awesome to not have someone report me for "animal cruelty" when I get ambushed by a group in the middle of nowhere and "accidentally" shoot their horse. 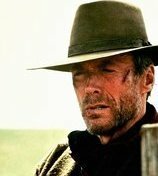 Amazing how the law men show up 1 in game minute after the witnesses evade me when we are easily 5 real time minutes away from any town. This is why I could care less about honor... I'll kill 15 witnesses before I can actually run just to avoid a ridiculous bounty. This! It is so ridiculous that I get reported f9r animal cruelty by accidentally shooting a horse that is ridden by outlaw who is shooting at me. Where is the common sense? Replayed a couple of missions and the gameplay seems a lot smoother and more responsive. Am I hallucinating? So gold medals are more easier? No I didn't mean that. I feel like the clunkiness has been reduced. Hey cousin..it is your cousins! Any official patch notes anywhere yet? I've never understood why they aren't released at the same time as the patches. Even if someone was too busy/lazy working on the patch itself, they have time to write the notes while waiting for it to be approved. Doesn't seem right that players have to 'test' different scenarios in game when the actual notes could be posted online somewhere. Kind of a shame we still can't run in SP camp. In Online you are able to. Noticed you don't need to hold the 'options' button for ages anymore to quick-access the map. I never encountered any of the camp glitches people have in my first playthrough. In my current 2nd playthrough everything is fine except for Dutch. 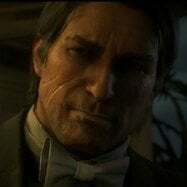 In the first one he was giving speeches, having lots of conversations with camp members, like John especially (Conversations about whether Jack is John's boy) and he was always reading and commenting on his books and always calling Arthur over to talk to him, once even telling Arthur that he will betray Dutch because he seems the type. None of this is happening in my 2nd playthrough, Dutch just sits there and doesn't move. No one is asking me to go on fetch quests either and there's apparently a LOT of those "quests". Of course, I'm still late in chapter 2, and with it being such a long game with multiple camps, there's a chance some of this stuff happened later than I thought. But Dutch seems "glitched" to me. A day in GTA is 48 minutes. A day in RDR2 is 32 minutes. I love the off-hand holster. It's my go to when on horseback. Mine disappeared when I equipped the machete.